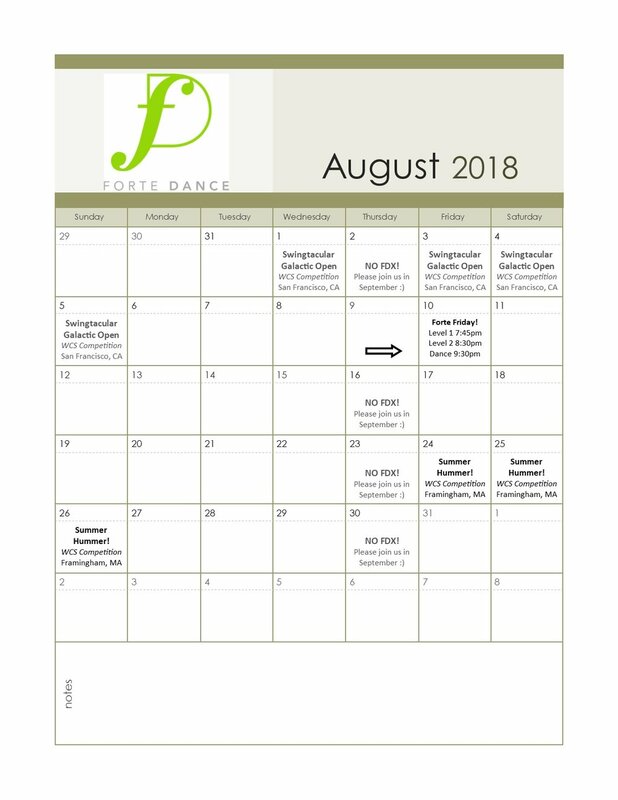 Check out what's happening at FDX in August! PLEASE NOTE: there is NO FDX in the month of August. Please check out the changes that will take effect in September. Our first class back will be Thursday September 6th. Forte Friday Funday 4th Anniversary Dance Party!